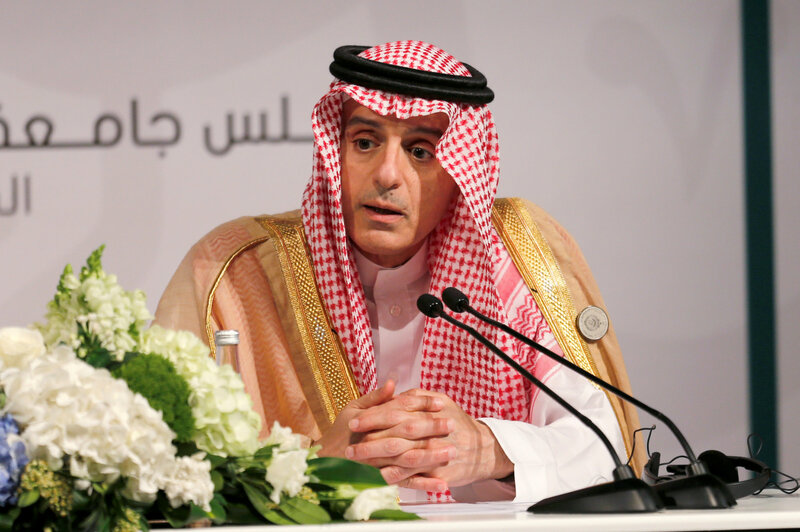 DHAHRAN, SAUDI ARABIA - An Arab League summit called on Sunday for an international probe into the “criminal” use of chemical weapons in Syria and condemned what it saw as Iran’s interference in the affairs of other countries. It emphasized the need for a political solution to the multisided Syrian war. Military help over the past three years from Russia and Iran, which also backs Lebanon’s Hezbollah and Shiite Muslim militias in Iraq, has allowed Syrian President Bashar aAssad to crush the rebel threat to topple him. 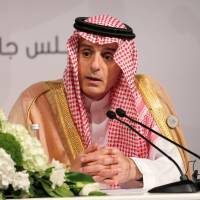 “The summit condemned Iranian interference in the internal affairs of Arab countries, either through igniting sectarian strife or planting militias in Arab countries such as Lebanon, Iraq and Yemen, and harboring al-Qaida terrorists,” Saudi Foreign Minister Adel al-Jubeir told a news conference. “The heavy shadow of destructive Saudi policies is evident in … the final statement of the summit,” Iranian state media quoted Iran’s Foreign Ministry spokesman Bahram Qasemi as saying in Tehran. Saudi Arabia, which takes over the rotating chair of the Arab summit from Jordan, announced that this gathering would be named the “Quds (Jerusalem) Summit,” a reference to U.S. President Donald Trump’s decision last year to recognize Jerusalem as the capital of Israel, which Arab states condemned.